Place almonds, salt and coconut in a food processor, and process until fine. Add the dates and process until combined well and mixture will stick together when formed into a ball. Line your cupcake tin with cling film. Add 1 tablespoon of the crust mixture per cupcake and press down firm and evenly to form crust in the bottom of the tin. The crust does not go up the sides of the tin, it only lines the bottom. Combine the filling ingredients in a blender or food processor and blend well to form a smooth mixture. Pour a 1/4 cup of the filling mixture into each cupcake hole. Smooth the top with a spoon. 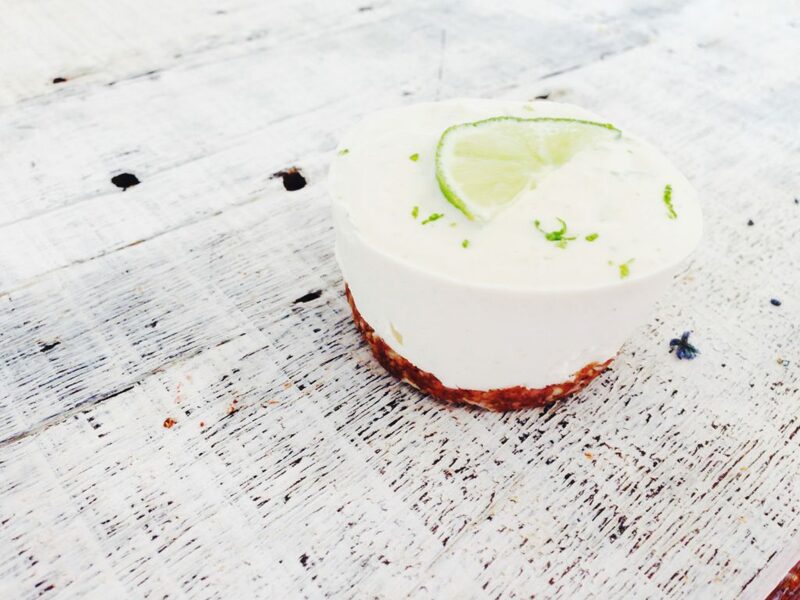 Decorate each pie with a slice of lime or lime zest to garnish. Place tin in the freezer for 1-2 hours to set. Remove from freezer and remove each individual mini pie from the muffin tin. Allow to soften for 10 minutes before eating. Extras will keep in the freezer for weeks, even a month. You can make this as one large pie in a spring form pan or individual mini pies.